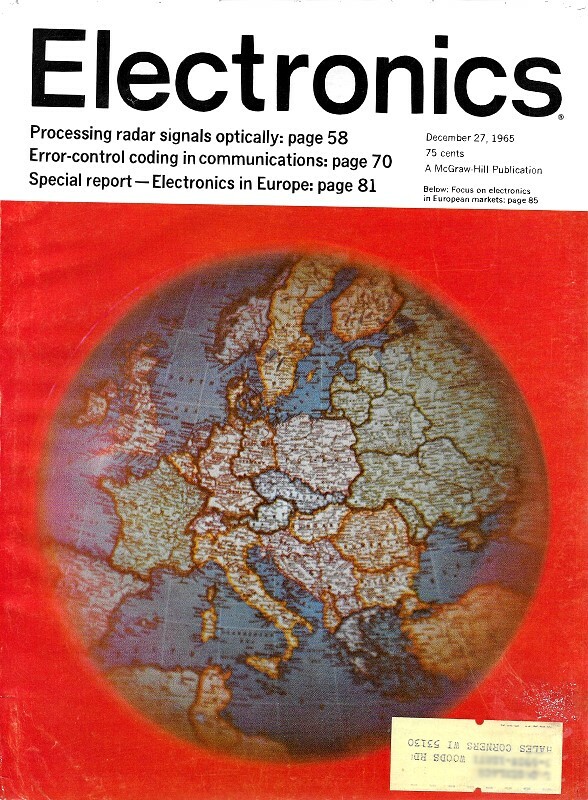 The final 1965 edition of Electronics magazine produced reports on the status of electronics markets in Western Europe and Russia. The opening statement proclaims "The boom continues." Increases are predicted to cover all sectors of the electronics field: consumer, communications, computers, instrumentation and industrial equipment. Western Europe's electronics markets will continue to expand next year with West Germany, Great Britain and France continuing as the biggest consumers, in that order. 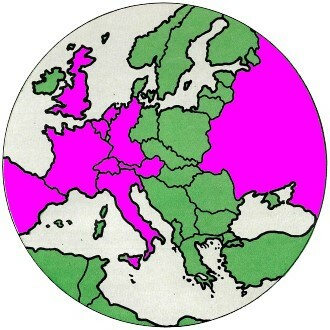 Electronics' first European market survey indicates that sales will climb to $7.90 billion from $7.19 billion in 1965. Germany's booming economy will use $2.25 billion of electronics equipment, up from $2.06 billion this year. Sales in Britain will total $1.81 billion, compared with $1.66 billion this year; France will spend $1.66 billion on electronics, up from $1.49 billion this year. Increases will cover all sectors of the electronics field: consumer, communications, computers, instrumentation and industrial equipment. The consumer sector, although the second-largest and still growing, has cooled off slightly. Consumer products are expected to account for $1.67 billion in sales next year, up from $1.58 billion in 1965; but with the television market approaching saturation and color tv still at least three years off, sales of tv sets are not increasing as rapidly as in the past. The replacement market is not taking up all of the slack; however, sales of phonographs, radios and tape recorders figure to continue the fast growth experienced this year. Industrial electronics, spurred by labor shortages and a demand for automation, continues to gain rapidly. In Germany, for example, only 5% of the factories have automation approaching that of American companies; this is expected to double in the next decade. Also growing is the demand for computers. Sales are expected to exceed $1-billion for the first time next year; in 1965, sales of computers and related equipment totaled $923.8 million. In communications, where European technology is pretty much keeping pace with that of the United States, expanding government budgets assure continued growth. Britain, for instance, spends $750 million a year on telecommunications. Electronic switching for telephone systems is being tested in Britain, West Germany, France, Sweden and elsewhere. Systems based on pulse-code modulation are due for delivery this year. As in the United States the military market is uncertain. There are a few big contracts in the works, however - the French Mirage 4 bomber and Sweden's Viggen multipurpose warplane, to name two. Britain has been switching to American-made planes to reduce her defense costs, but the British expect to continue to supply much of the electronic gear. The North Atlantic Treaty Organization also continues to buy electronic equipment, although its promise has not been fully realized. West Germany is developing into a market for space electronics. Early this year the Ministry for Scientific Research estimated that it would spend $500 million by 1970.